The Senate has failed to pass a short-term spending bill, it appears a federal government "shutdown" will begin at midnight east coast time. But much of government will continue to run and President Trump will still fly on government money, with his entourage, to the World Economic Forum in Davos, Switzerland. It's a selective shutdown based on the readings of official Washington tea leaves. Expect drama back at home to fill network news programs. Versions of Washington Monument Theatre will have multiple showings. "Maximum discomfort on the victims," that's us. Who knows what they have in store, but if you are expecting a government check, that won't arrive. For sure, it is not covered as a go, the way Trump's trip to the Swiss Alps is. In the end, Trump will blame the Democrats for your check not arriving and the Democrats will blame Trump. But it is all just a show. The wars and military operations, especially, will go on. Every so often the state provides libertarians with a hashtag we can all get behind. 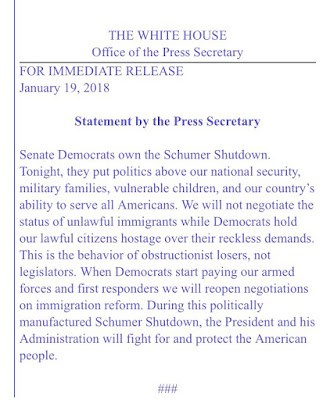 #ShutGovernmentDown. We might as well enjoy the moment while we can. Maybe no NFL games, no pay, and commissaries being shut down (no food for families, at least not without some effort) will cause some of them to rethink re-enlisting. 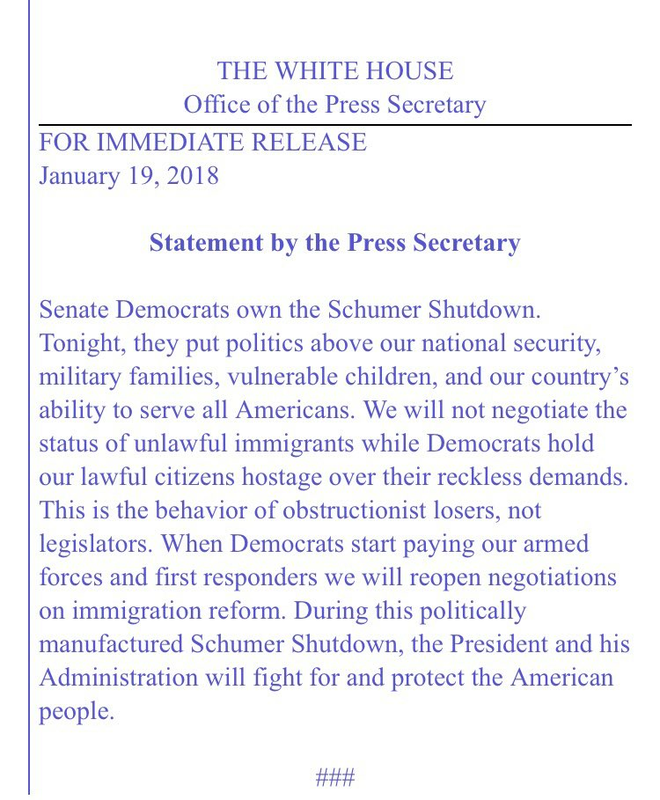 As usual, the Democrats care more about criminal illegal aliens that need to be rounded up and deported than American citizens.